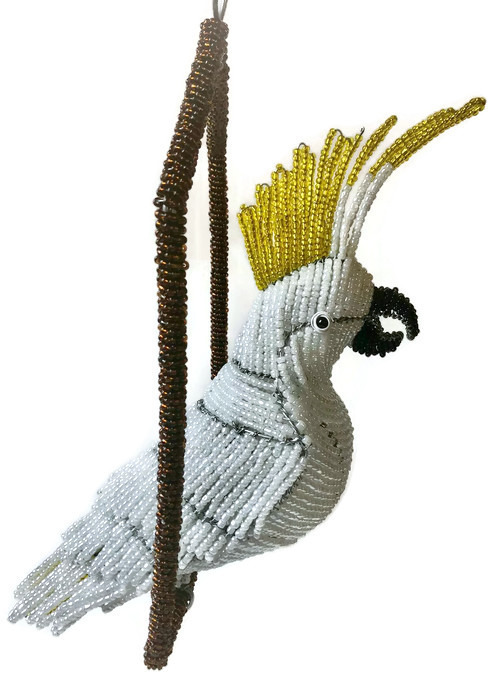 Our majestic fair trade African beaded cockatoo figurine is 18″ tall and will make for beautiful animal home decor, garden patio or pool area decor! 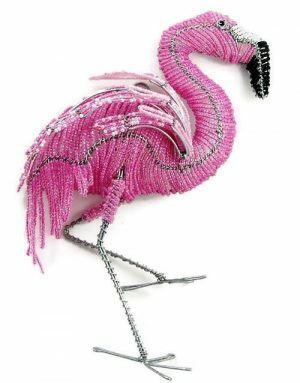 Forget the typical stone animal garden sculptures – spice up your yard with our colorful beaded animal garden decor! 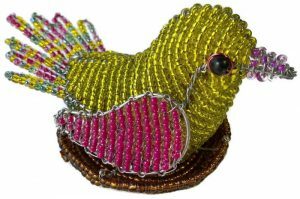 Feel like your in the tropics with our stunning cockatoo figurine and there’s no mess to clean up! 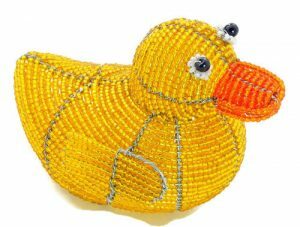 Our beaded cockatoo figurine is painstakingly hand crafted by Africa’s best bead and wire artists in South Africa and Zimbabwe.